Many of us were not able to catch this animated short film when it accompanied Disney's full-length animated movie Wreck It Ralph last year, that's including myself. Good news for us that Disney recently released it online. I went ahead and clicked that play button to see what it is about as I was hearing and reading good reviews about this "Paperman" directed by John Kahrs. It is the best short film animated movie I've seen so far, and yes, I liked it too! 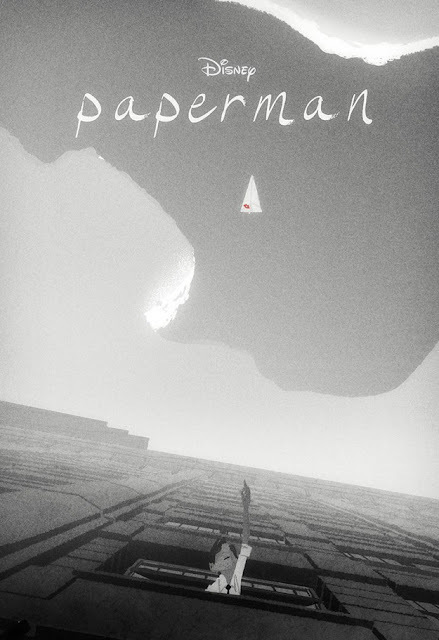 The Paperman tells a story of a lonely New Yorker man meeting a beautiful woman on his morning commute to work. Convinced the girl of his dreams is gone forever, he gets a second chance when he spots her in a skyscraper window across the avenue from his office, and sets out to get her attention.